A powerful, versatile electric cutter with wet cutting kit and possibility to equip with Vac attachment. Perfect for cutting jobs indoors with a minimum of dust and slurry. 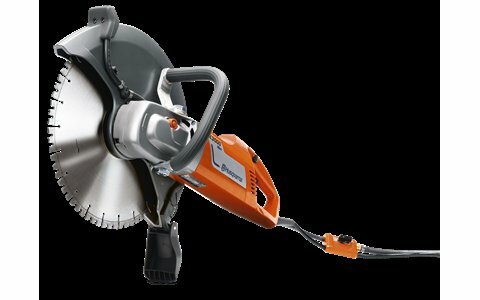 Unlike other electric cutters, the blade rotates forward, cutting into the material efficiently and with a minimum of effort on the user. The K 3000 Wet also has Elgard™ that warns of an approaching overload. Now improved with a spray guard and a lighter bladeguard than it´s predecessor. Generously dimensioned mitre gear provides high durability, minimal power loss and low noise levels. Quick acting locks for the spindle and a large outlet in the blade guard simplifies blade replacement. The blade on all our electric cutters rotates forward, cutting into the material efficiently, minimising the risk of sticking and kickbacks. The advanced electronic overload protection varies the rotation speed to warn of approaching overload. Provides starting with normal, slow acting fuses.